Day 23: More, More, More! Christmas Eve is finally here…how very exciting! Hard to believe that before this month, Ailsa Suttie was the only person to have guest posted on this blog…and rather a long time ago now at that! I can’t say enough good things about Ailsa, she is a warm and wonderful friend who will always fight your corner, support causes she believes in and get involved to make a difference. You can find her at @AilsaSuttie…and anywhere where there is a bottle of red around ;). When, asked by Alison to consider writing a guest post for this series, I looked back at the Highlights & Horrors of my HR life 2011 and although I could write about both a different emotion took over when I thought about you all. If asked to describe it I would have to say the closest thing I could compare it with is that it was, well, ‘Christmassy’. A slow spreading feeling of warmth and well-being, a sense of all things being as they should. In 2011 I have met some inspirational people, some challenging folk, been helped by some and have helped others. Like any group some don’t see eye to eye and these relationships also serve to strengthen and enrich our community. Life would be pretty bland if we all agreed, right? I would like to thank the individuals who made my year special, you know who you are. To those I don’t know so well, I look forward to getting to know you better in 2012. I hope that where I have tried to help that I’ve managed to make a difference too. To those of you who attempted to ruin my liver, I am sending you my bill from the Priory! So, I am raising a virtual glass of mulled wine to you all, Merry Christmas and here’s to a very happy New Year, you rock! So that’s it….or is it? Those of you that have been following the series of guest posts may have noticed that I haven’t written about my highlights and horrors yet…and I have had a couple of wonderful bloggers suggest that they may submit a post over the next few days. This is definitely it for the daily posts (phew!) but there may be one or two overflow posts between now and New Year’s Eve, so watch this space :). All that really remains is to sincerely thank all of you who have written posts, read them and recommended them to others. What began as a fairly random idea has taken shape to be a powerful and wonderful experiment that I have absolutely loved facilitating. Truly, the response has been beyond my wildest dreams or maddest hopes…and that is totally because of you. I wish you a very, very Merry Christmas! 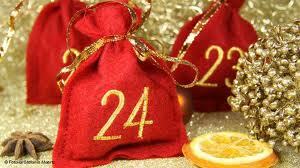 4 Responses to "Day 24: Merry Christmas"
I’m with Doug on that – cheers to both of you! My glass is raised. Cheers all. And I’m proud to say that I enticed Ailsa on a cocktail making lesson earlier in the year, which did involve a fair bit of tasting. Thank you and hats off, Alison, to your advent blog. Quite an undertaking, and you more than pulled it off. Imagine knowing so many people who would want to guest post! It’s been really interesting and enjoyable.